Ryhope CW slipped to a second straight defeat, losing 5-2 at home to Bishop Auckland in their Northern League Division One game. James Ellis opened the scoring within a minute, but a Callum Patton double turned the scoreline around. Michael Rae hit back before half-time, but second-half goals from Andrew Johnson, Kyle Fryatt and Chris Salmon gave Bishop Auckland a big lead. 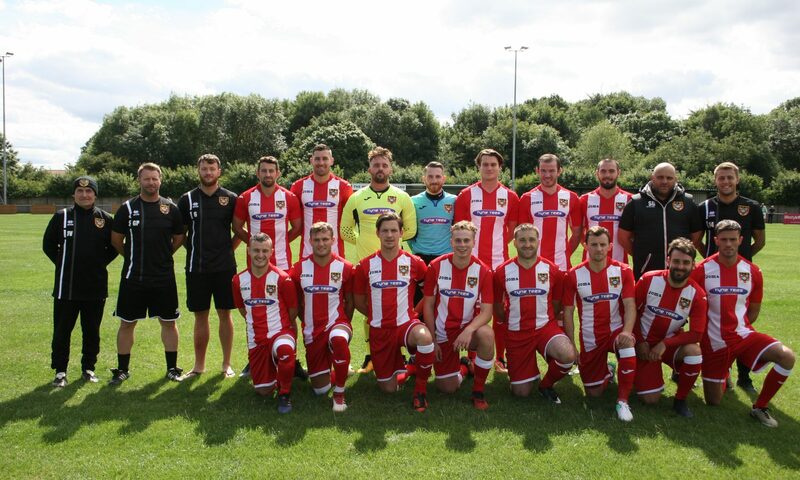 Ryhope were looking to bounce-back from this weekend’s defeat to Newcastle Benfield, but knew it would be a tough task coming up against a side who sit 3rd in the table. Colliery Welfare were in the lead in 43 seconds, Ellis getting on the end of a ball in-behind the defence before adding a smart finish. However, just three minutes later Bishop Auckland were awarded a penalty when Jonny Ball was adjudged to have brought down Andrew Johnson. Callum Patton dispatched the penalty into the bottom-right corner. Patton got his second in the 11th minute, Jonny Ball saved Shaun Ryder’s shot but Ryhope failed to clear and Patton fired in the loose ball. Ryhope brought the scores level in the 32nd minute, Corey Nicholson doing well to pick up the ball down the right before drilling in a cross which Rae got on the end of at the back post. Colliery Welfare had good chances to take the lead before the break, Ben Riding’s header from Ellis’ corner smashing against the bar. They also failed to convert during a goalmouth scramble in added time, before Bishop got the ball clear. It took less than two second-half minutes for Bishop Auckland to take the lead. Johnson scored with an acrobatic effort after an initial save from Ball. Bishop Auckland broke on the counter in the 63rd minute, the ball was squared to Fryatt for an easy finish. A mix-up at the back for Ryhope lead to a great chance for Johnson who somehow missed wide with Ball well out of his goal. Rae almost gave Ryhope a fighting chance with a good header that was matched by Nicholas Liversedge. The home side’s misery was compounded when Salmon got on the end of a ball from the right hand side before adding the finish. Colliery Welfare have now dropped into the bottom five, and are hoping for a turnaround in form when they play Seaham Red Star away on Saturday. Assistant manager Stuey Gooden said post-match: “It was a very disappointing defeat. “We got the early lead and I thought for the first 15-20 minutes of the first-half we were all over the place, but for the last 20 minutes of the second-half I thought we were excellent.